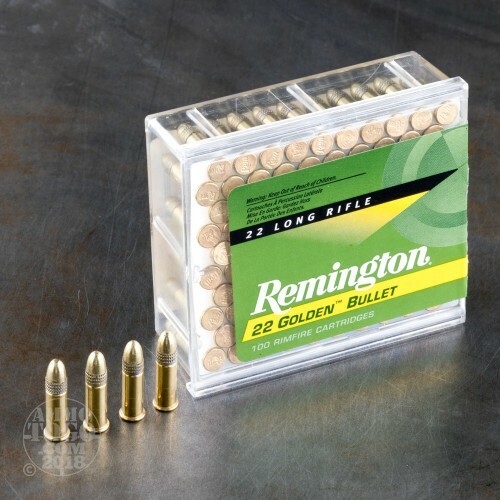 Remington is one of the oldest and most trusted names in the ammunition world. Established in 1816, Remington has spent more than two centuries providing high-quality products to shooters world-wide. 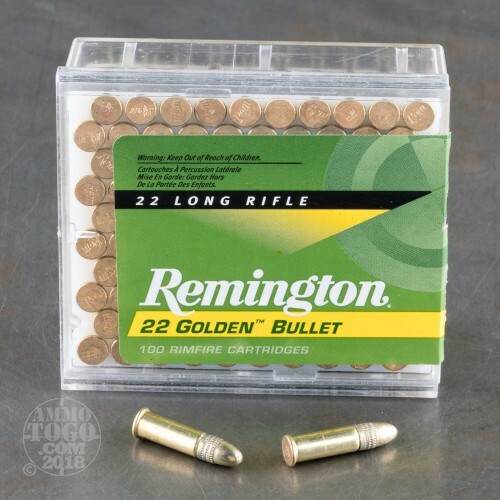 By bringing the same level of commitment to their rimfire ammunition as their centerfire, Remington provides an excellent shooting experience for young shooters and serious competitors alike with their .22 Long Rifle Golden Bullets. Remington Golden Bullets use only clean burning powder and a brass jacketed bullet design to reduce lead residue and minimize the need for cleaning. This means you can spend more time on the shooting range without sacrificing performance or accuracy. 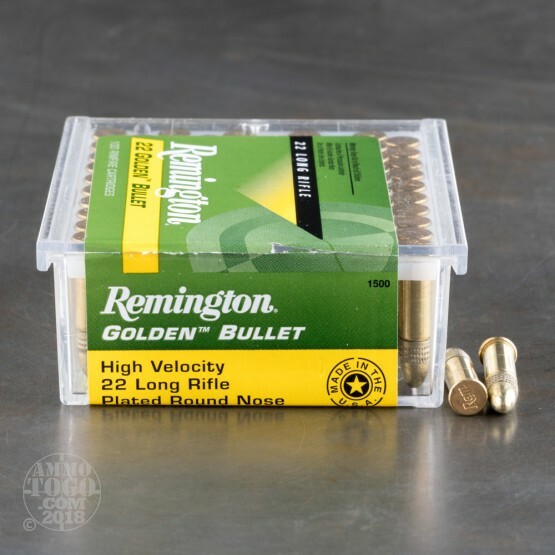 This package contains 100 rounds of quality Remington rimfire ammunition. Each round is loaded with a 40 grain solid point projectile suitable for everything from tin cans to prairie dogs. 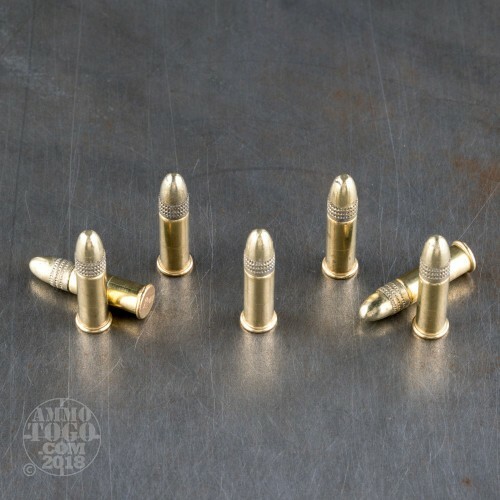 This new production ammunition is brass cased and produces a muzzle velocity of 1250 feet per second with 140 foot pounds of energy.